Behind the Camera - London's Secrets...: Tutorial - Image Hosting, HTML use and useful links! Tutorial - Image Hosting, HTML use and useful links! Oooh an internet post! Insert computer related picture. Image hosting is essential for you to share your adverts unless your site is capable of hosting images itself or you have a large knowledge of coding. Image hosting is essentially popping your images up on to an external website where they will store it online and make it available to those with the correct web link or html code. 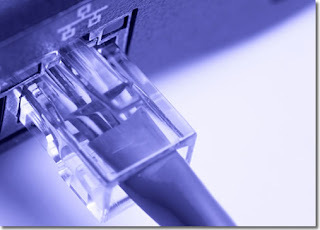 There are plenty of sites to choose from and if you google image hosting you can take your pick. I have always used photobucket and found them to be a great site. You can visit them here. The sites are fairly simple to use and self explanatory. Now remember my fabulous signature that I created? It is currently hosted by photobucket so we will use this as our example piece. The first thing to do is select the picture you want to do and then look at this menu pictured below. The first thing you need to know is that the direct link and email and IM are just a web link to the page. 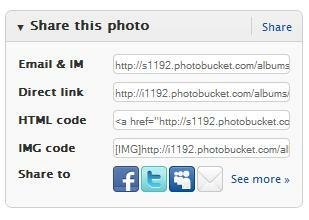 The will not make the picture appear in your profile, they simply redirect people to the image on photobucket's domain. The HTML code is the text you will be using to make the picture appear in your profile. You don't need to worry about the IMG code at this point as it is more for use in forums. With HTML literally all you need to do is copy the text and paste it into a section of your profile for it to appear. Ideally dont surround the HTML with loads of other text or it may come out a bit messy, but it is literally that simple in most cases. With this blog for example, if I post the HTML code for the image below and my blog is set to interpret HTML the image will appear below. See? Easy peasy. And all I did was paste some text. As long as you have a profile that will allow for HTML interpretations, much like MFC, you will be laughing. Now I have given you the tools, try not to go too mental and make a million adverts for your profile! A few dotted around are more effective that crap loads of picture ads clogging everything up. I have seen girls do this and believe me it is not a good look. Another useful site if you ever need it is an image resizer. If your forum or site has strict pixel size rules on their pictures you may need to adjust your work to their specific sizings. You can do this in Microsoft picture manager too. For picresize.com just upload you image and select custom size from the drop down menu, or if you just want it generally larger or smaller use their percentage options. So we have www.photobucket.com for your hosting needs and www.picresize.com for your size alterations. You are all set and ready to go, so good luck with it. May your adverts flood you with $$$$!